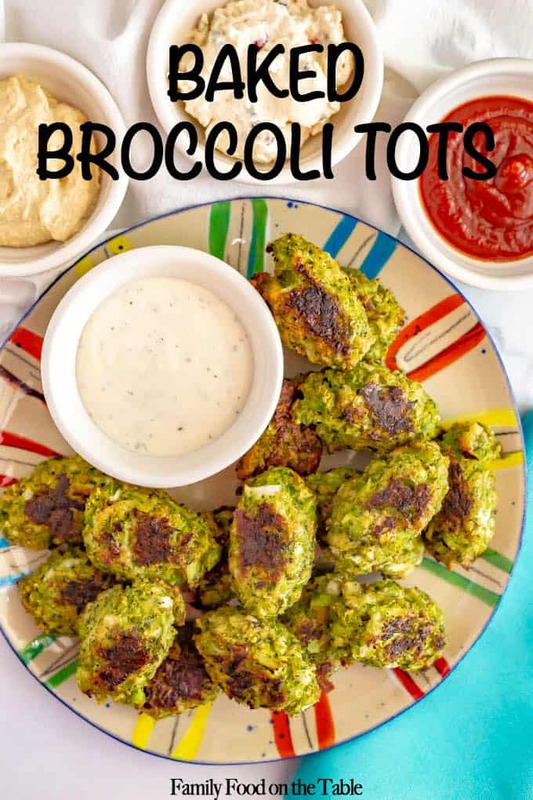 These easy baked broccoli tots are just 5 ingredients and make a great healthy veggie side dish or finger food for kids to serve with Ranch, ketchup or honey mustard for dipping! I’m feeling a little deja vu today, seeing as how we are facing rain and storms from another hurricane. Last month it was Hurricane Florence, now it’s Hurricane Michael headed our way here in N.C. today. Hoping we fare as well as last time, when we kept power and just had a little bit of water leakage. And I’m especially thinking of all those on the Gulf Coast who’ve been hit so hard by this storm and those on the N.C. coast who really don’t need another battering. Hoping everyone stays safe… but now let’s talk about something happier. The food! 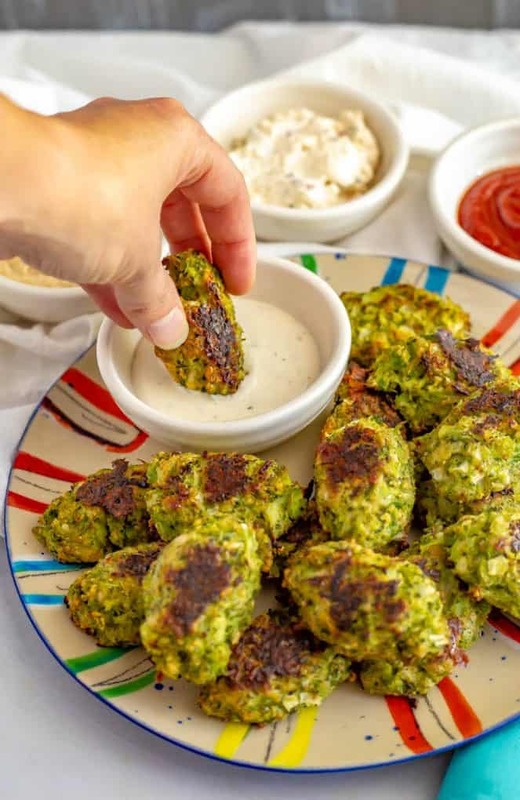 Today’s easy baked broccoli tots are something I started making when my kiddos were babies. 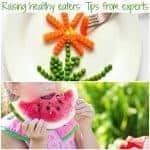 They make a great finger food for babies and toddlers and a great side dish for older kids as well. There’s just something about broccoli + cheese together, right?! They brown up beautifully on both sides, have a satisfying little crusty edge and are perfectly cheesy and soft on the inside. You’ll need 3 cups of the cooked, crumbled broccoli. If you have extra, you can use it as “broccoli rice” in a stir fry or tucked into tacos or quesadillas for a veggie boost. You can use gluten-free breadcrumbs to make this recipe gluten-free. These tots stay together nicely but you do need to be careful when turning them halfway through the baking time. If any fall apart when you flip them, just smush them back together and they should be OK by the time they finish baking. These are best served immediately. 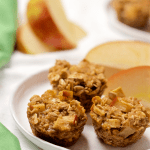 Extras can be stored in the fridge and rewarmed in an oven or toaster oven for a few minutes to get the crunch back. You can reheat them in the microwave too but they’ll lose their crunch. 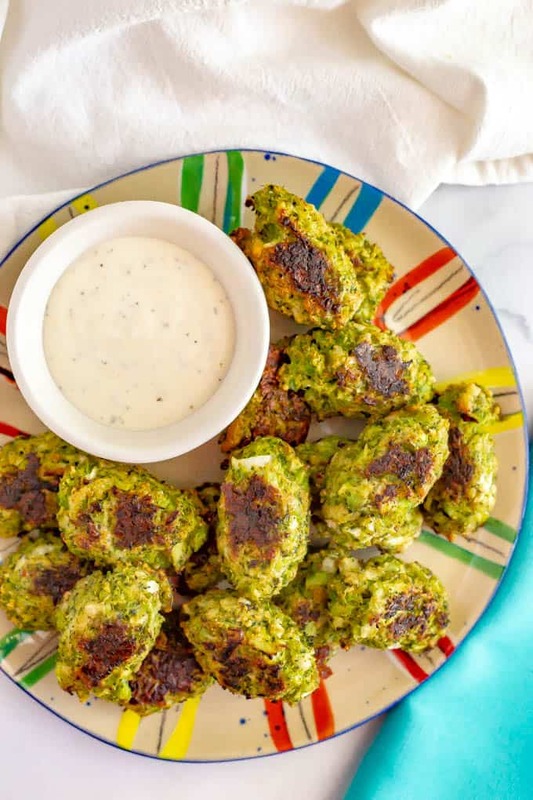 These broccoli tots freeze great! 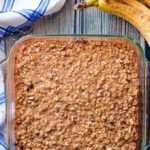 I let them cool, then carefully add them to a ziptop plastic freezer bag and freeze for 2-3 months. 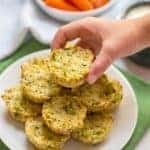 I hope you give these a try if you need a new kid-friendly way to eat broccoli or just a new idea for some broccoli side dishes to try! 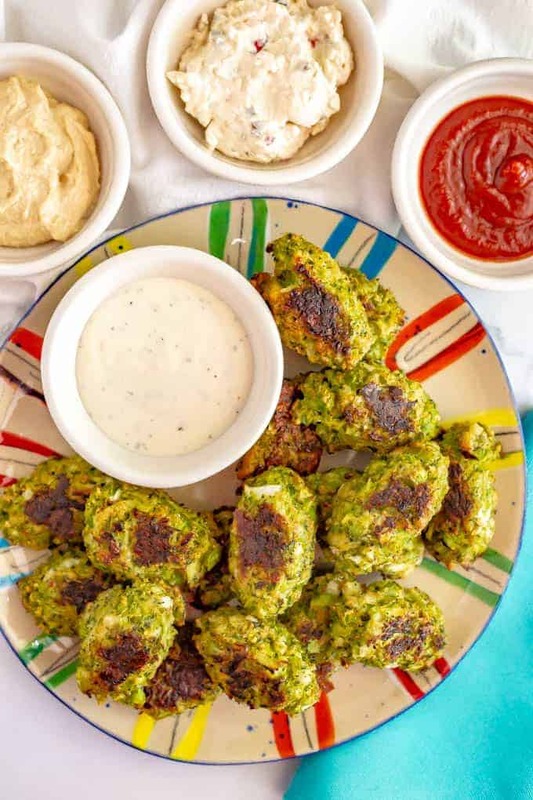 These easy baked broccoli tots are just 5 ingredients and make a great healthy veggie side dish or finger food for kids! Preheat the oven to 375. Line a baking sheet with parchment paper or aluminum foil and spray with cooking spray. Set aside. Bring a medium pot of water to a boil over high heat. Add broccoli florets and cook for 6-8 minutes, until tender. Drain very well. I also lightly pat them dry to remove extra moisture. 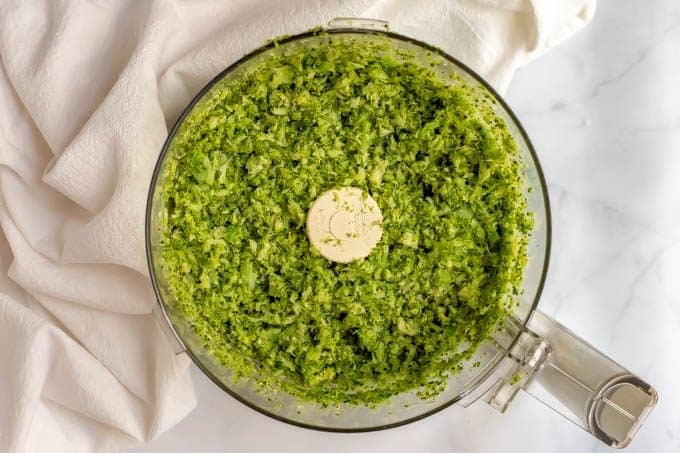 Measure 3 cups of the chopped broccoli florets and add to a large bowl along with the remaining ingredients. Stir well to combine. 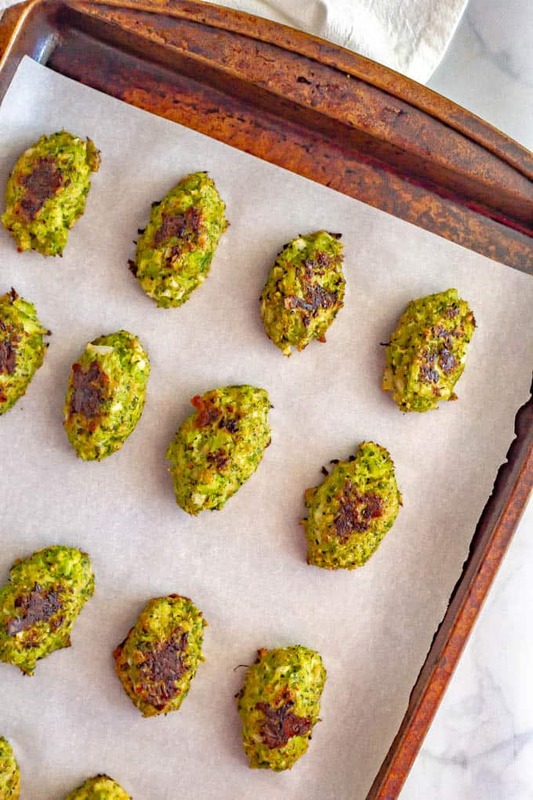 Form the broccoli mixture into tots - you’ll use about 2 tablespoons per tot - and place on the lined baking sheet. You can slightly dampen your hands to help keep the mixture from sticking to you if needed. Serve immediately with dip of choice: Ranch, ketchup, honey mustard, etc. You need 3 cups of the cooked, crumbled broccoli. 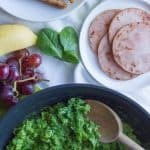 If you have extra, you can use it as “broccoli rice” in a stir fry or tucked into tacos or quesadillas for a veggie boost. these are so great, thanks for the recipe! Only powerone day here on the East side of Raleigh… my family in Morehead City, a week with some roof damage. I have family on the coast too, and sheesh, they’ve had such a rough go of it. I’ll be thinking of your family too! Oh my gosh I have leftover broccoli = about three cups worth! I might have to tr this. Hope all is well with you after the big storm! I think it was so much worse than anyone could have predicted.